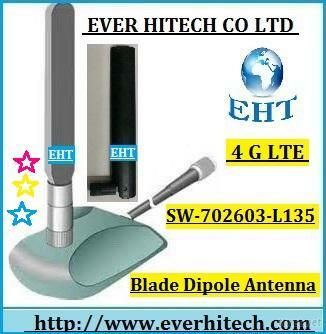 4 G LTE Antenna, GPS Antenna, Glonass Antenna, GSM Antenna, WIFI Antenna, WIMAX Antenna, Ham Radio Antenna, CB Antenna, Broadband Antenna, RFID Antenna, Base Station Antenna, TV Antenna, Two way Radio Antenna, Walkie Talkie Accessories, Blade Antenna, VHF/UHF Antenna, MIMO Antenna, Magnetic mount Antenna, Glass Mount Antenna, Screw Mount Antenna, Patch Antenna, Roof Antenna, Yagi Antenna, GRID Antenna, Dish Antenna, Sector Antenna, Combo Antenna, Panel Antenna, Dipole Antenna, Monopole Antenna, Swivel Antenna, Stubby Antenna, Accessories, RF Connector, XM/Sirius Radio Antenna, Omni Antenna, Ceiling Antenna, Wall Mount Antenna, Rubber Antenna, Retractable Antenna, Truck Antenna, Marine Antenna, Shark Fin Antenna, Cable Assembly, RF coaxial connectors, Embedded antenna, Tool kits, Car Interior Accessories, Car Exterior Accessories, Brackets, Speaker. The final version of GSM and UMTS mobile phone network (Long Term Evolution, LTE) standard is a wireless communication network towards full network data packets from the circuit-switched voice network a major paradigm shift. LTE voice communications using Internet protocol (VoIP) to transmit voice and support all services through the packet of information. This is often called 4G standards, the goal is to be the mobile phone network data rate up to broadband standards, making LTE phones become the main consumer Internet devices are also popular known as 3.9G, with a 100Mbps data download ability to be regarded as the evolution from 3G to 4G mainstream technology.